Hey everyone! Thank you all for participating in our Blog Hop, Skip and Jump! We appreciate all the love and support that you fabulous crafters have shown us in the last few weeks. Now we’re ready to announce the winner of our first ever blog hop! Congrats, Lisa!! Please contact us at thetonstamps@gmail.com within 48 hours! Thank you again everyone for participating in our first ever blog hop!!! 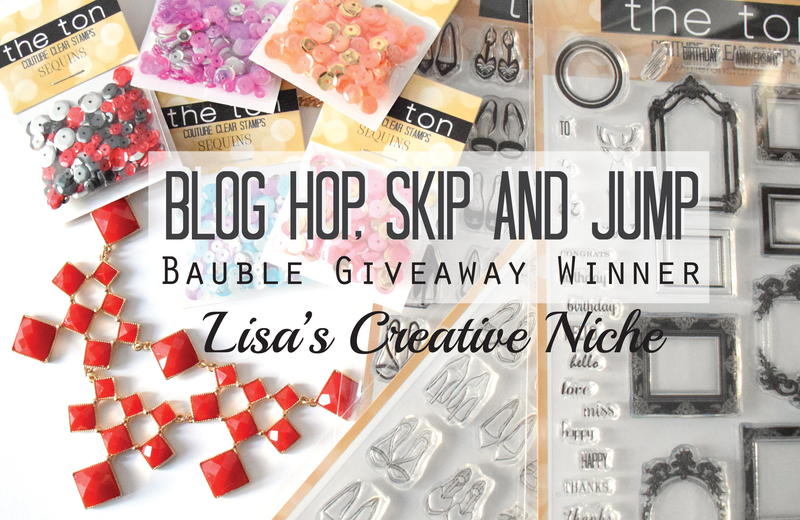 Welcome to our First Blog Hop, Skip and Jump and Bauble Giveaway! Stretch Your Planner Stamp Sets and Our First Youtube Video! Eeekkk! Thank you thank you thank you!!! !